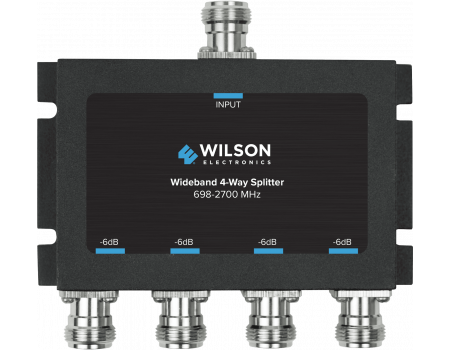 The Wilson Four-Way 700-2700 MHz 50 Ohm Splitter with N Female Connectors (859981) is used to split a single input signal into four outputs. 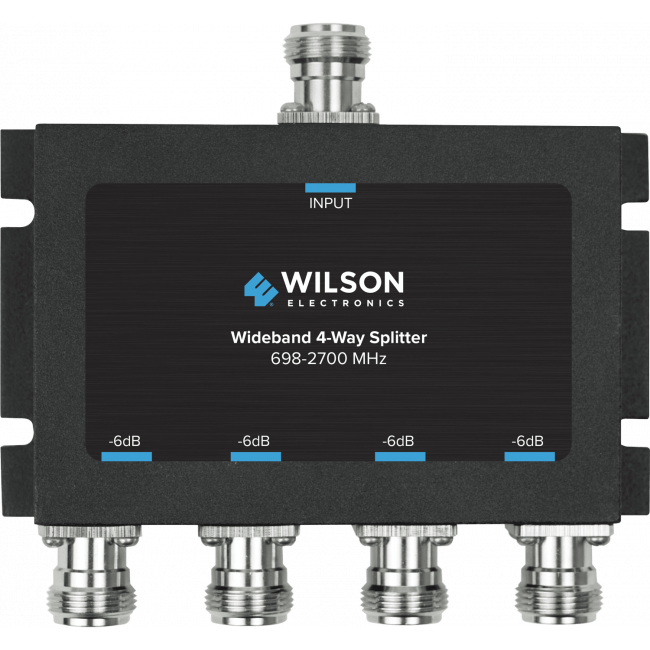 The Wilson Four-Way 700-2700 MHz 50 Ohm Splitter with N Female Connectors (859981) is used to split a single input signal into four outputs. It has N-Female connectors. 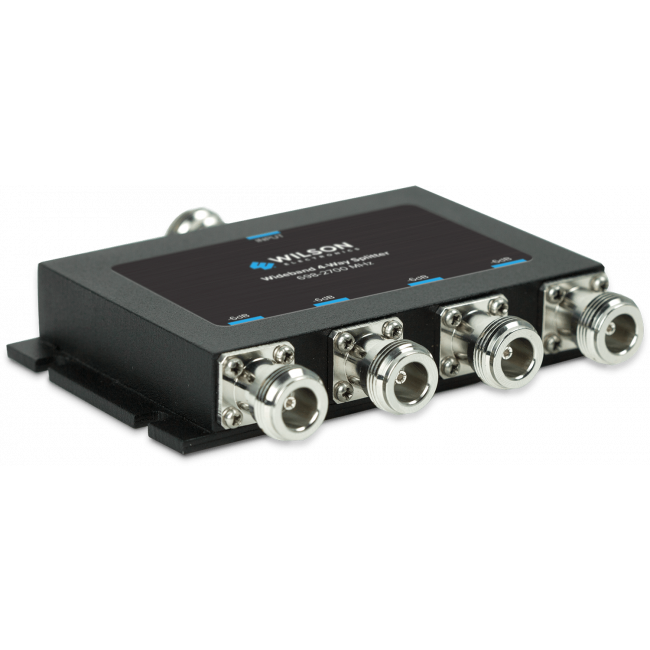 All four output ports experience a loss of ports -6dB due to the split. All splitters require extra cables. Typically, you use a short 2 ft Wilson400 coax cable to connect the splitter to the amplifier, and then additional cables to connect the internal antennas.